Sure, anyone can plop behind a vintage typewriter and type you a poem. Jodi holds a Ph.D. in English from UT Austin. 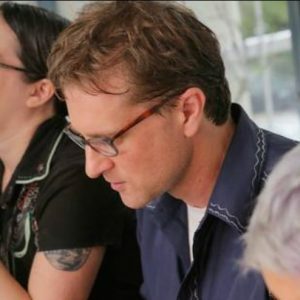 With her husband Owen Egerton (and a little help from their kids), Jodi co-wrote the creativity and writing craft book This Word Now. Jodi is also the Project Manager at CreativePickle, a childbirth doula, a goat-milker, and a classically trained clown. She types on a 1970 Litton Imperial. David is a freelance curriculum writer, musician, performance artist, and stay-at-home dad. He lives in Austin, Texas with two dogs, two cats, and two ladies, and frequently daydreams of gardening. David types on a 1941 Royal Quiet DeLuxe. Kari is an author, mama, and terrible cook. 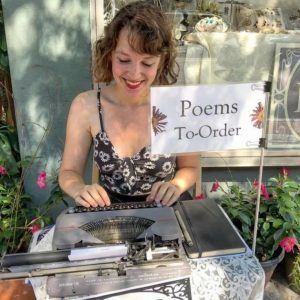 As an author for adults, Kari Anne has written HAIKU MAMA (Quirk, 2006), and periodically contributes to McSweeney’s Internet Tendency. Her humorous essays can be found in many anthologies, including The Best of McSweeney’s. (She is also reasonably infamous for her blog, haikuoftheday.com.) 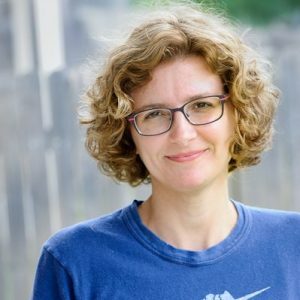 As a writer for children, Kari Anne is the author of several middle grade novels in verse including Knockout, House Arrest, and Rhyme Schemer. She has also published several middle grade fantasy adventures, including Red Moon Rising, Gnome-a-geddon, and Brains for Lunch: A Zombie Novel in Haiku!?. Her debut picture book, I Wonder, will be released by Random House Books for Young Readers in 2019. She types on a 1952 Oliver portable. 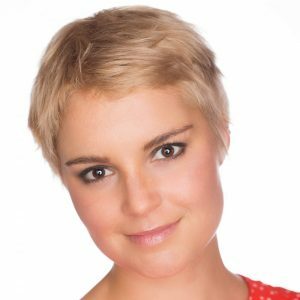 Kate Payne is an author, freelance writer and farmers’ market’er; her books Hip Girl’s Guide to Homemaking and Hip Girl’s Guide to the Kitchen are available anywhere books are sold. She’s excited about breakfast, bacteria, and bitters (saludbitters.com) as of late. Find out more on her blog (hipgirlshome.com), and at katepayne.net. 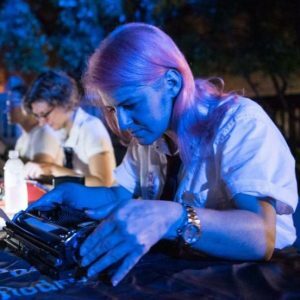 Kate whips up poems on a 1972 Smith Corona Sterling. Michelle is a writer, storyteller, and occasional comedian with a BS in Film Studies from Boston University’s College of Communication. 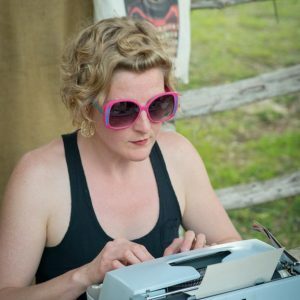 Her writing has appeared on McSweeney’s Internet Tendency, The Rumpus, and The Nervous Breakdown as well as in the Austin Chronicle and Oh Comely. Her essay EPILOGUE: DEADKIDISTAN appeared in Best American Essays 2013. Her stories can be heard onstage around Austin and on The Soundtrack Series podcast. She is currently (forever) at work on a collection of essays/memoir, and a novel. Michelle types on whatever typewriter she can get her hands on. 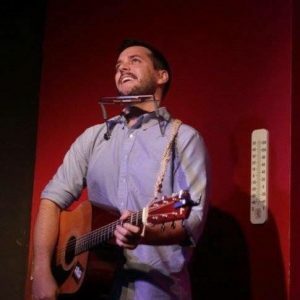 Tim is a comedian, musician and writer transplanted to Austin by way of Dallas. He has taught high school English for several years, and his favorite poets are Gerard Manley Hopkins, Billy Collins and Shel Silverstein. Tim types on a blue 1985 Sears Achiever – bought because that’s the same year he was born, and because he, too, is a Sears Achiever. 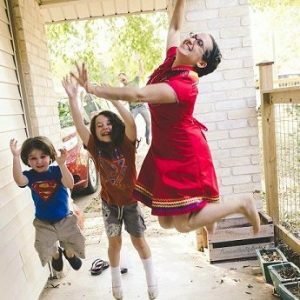 Natalie is a writer, artist, improviser, and adventurer extraordinaire living in Austin. She has a degree in creative writing from St. Edward’s University and her first book, THE FANTASTIC FABLE OF PETER ABLE, was published in 2015. When not writing, art-ing, or improvising, Natalie can be found playing outdoors, traveling the world, spending time in the company of excellent friends (human and dog alike), and occasionally jumping from planes. Natalie types on a 1930 purple Remington portable. Lindsey is an artist and musician living in Austin (photo by Sasha Wasko). 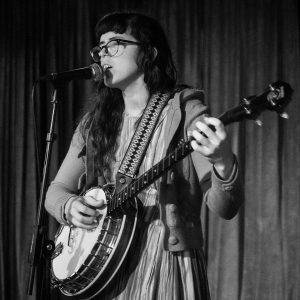 She is part of the band Little Mazarn and plays the upright bass, cello, and banjo and writes poems, songs, stories, and ‘zines. Lindsey has a degree in music from the University of North Texas but got her real education hopping freight trains and playing in dingy basements all over the world. These two things were the most educational of all and she hopes to do them until the day she dies. Lindsey types on a baby blue Corona. 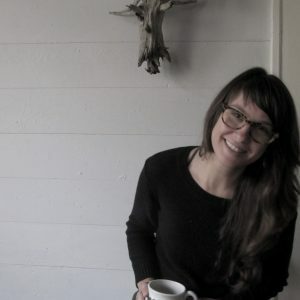 Courtney is an educator, artist, and Ph.D. student at the University of Texas at Austin. When not teaching the politics of poetry, Courtney makes (really tiny) books, futzes with her guitar, writes, and thinks about What Willie Would Do. She hails from Perry, GA — home of the Georgia National (not a typo) Fair, her literal first rodeo, and a very important tributary of the Ocmulgee River. Courtney types on a 1936 Royal DeLuxe. 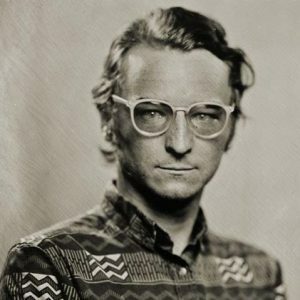 Matthew Chovanec is a PhD student at the University of Texas at Austin studying Arabic and Turkish novels from the 20th century, rugged social realist ones about the working class and peasantry, stuff that would make John Steinbeck blush. He also sings in a political twangcore band called “Texas Textbooks” and draws a comic in Ottoman Turkish. 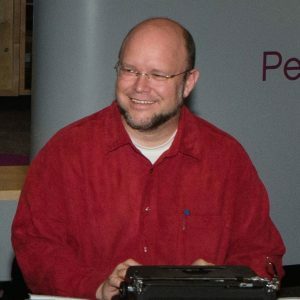 Matthew loves poetry in any language, and his favorite poets are Ben Mirov, Sargon Boulus, and Kay Ryan. He types on a 1980 Brother Charger 11. GennaRose is a poet, performer, and folklorist from the forests of Brattleboro, Vermont, now living in Boston and occasionally in New Orleans. She’s been typing poems-to-order across the globe since 2012, and often joins our northeast-y gigs. GennaRose types on a 1952 Hermes rocket. Find out more at www.gennarosenethercott.com.